New diagrams allegedly show the iPhone 7 and iPhone 7 Plus measurements and ports and fuel fresh excitement for the upcoming devices. 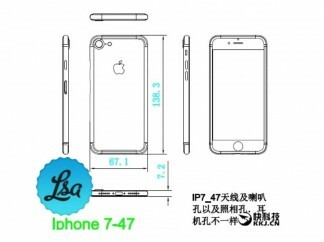 The schematics reveal the new crop of Apple flagships will be 1mm thicker than the iPhone 6s and iPhone 6s Plus. Potentially, this could translate into a larger battery, but there's no confirmation of this just yet. 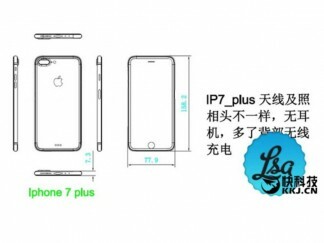 As per the diagrams, the iPhone 7 and iPhone 7 Plus will be just as wide and tall as their predecessors. Interestingly, the iPhone 7 Plus will have a dual camera setup whereas the iPhone 7 will only have a single sensor at the back. Lastly, the diagram show a Smart Connector port at the rear of the iPhone 7 Plus. It's very likely that Apple likes iPad Pro users who've bought the Smart Keyboard to be able to use it on the iPhone 7 Plus as well. We have a general idea of what the iPhone 7 and iPhone 7 Plus will look like thanks to a render based on confirmed schematics. In the latest diagrams, the 3.5mm headphone jack is missing.